Little Clandeboye or Conlig House, near Bangor, County Down, was built ca 1855 in the Neo-Tudor style. The architect is unknown, though Lord Dufferin commissioned Benjamin Ferrey in the mid-1850s for various projects on his Clandeboye estate. Conlig House, however, can be dated originally to ca 1830 and was very similar in style to Glencraig House (now altered) which dates from the same period. The architect may have been William Burn, who was later consulted by Lord Dufferin with regard to the remodelling of Clandeboye House in the 1840s. J A K Dean, in his informative gazetteer, The Gate Lodges of Ulster, states that Conlig House was once a dower house for the Blackwood family. It had north and south wings, a projection and seven cellars. By 1850, Conlig House was the residence of Captain William Pirrie, the Belfast ship-owner and harbour commissioner. His son, James Alexander Pirrie, emigrated in 1844 to Canada, where he entered the timber shipping trade. When James Pirrie died, his widow took her son William back to Ulster to live at Conlig with his grandfather. William Pirrie (1st Viscount Pirrie) was educated at the Royal Belfast Academical Institution (Inst) from 1858-62, and then became an apprentice at Harland and Wolff. He was married to Eliza Morrison, who came from Conlig and was part of the wider family of the Marquess of Dufferin and Ava. James Pirrie subsequently sold Conlig House to Lord Dufferin. 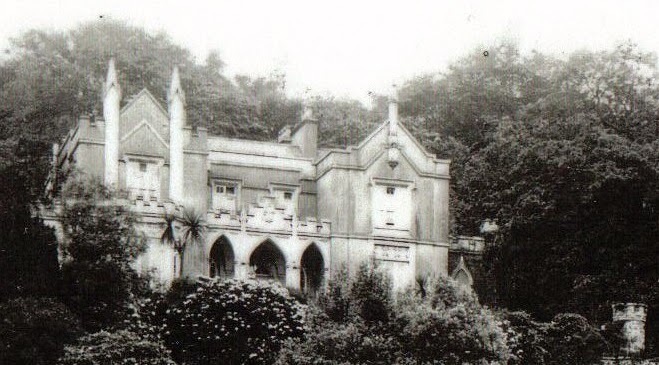 Little Clandeboye, as it became known, was unoccupied for a period until it was let to Hugh Creighton, who was engaged to be married, from 1863 until at least 1871. Creighton took the house for a rent of £100 a year. The valuer noted in 1880 that the house was still vacant, but by 1882 Richard T Hamilton was in residence. James Fagan occupied the house from 1894; and JT Barrett from 1901. A number of occupiers followed: SJ McLean (1904); Thomas O Dickson (1909); Walter Barbour (1915); Lord Dufferin (1926); George McCracken (1927); and Walter John Dyer (1929). James Bernard Fagan (1873-1933) was an actor, theatre manager and playwright, who had recently made his acting debut when he lived at Little Clandeboye. A letter survives written by him at Little Clandeboye to Lord Dufferin in which he thanks him for an introduction and promises to send him two one-act plays he had written. After several years working as an actor, Fagan embarked on a career as a dramatist, a number of his plays being filmed in the early days of the cinema. In 1917 he began a third career as a producer, ultimately taking over management of the Royal Court theatre in London. In 1923 he opened the Oxford Playhouse and continued to stage notable productions in London and New York, spending increasing amounts of time in Hollywood where several of his plays were filmed and where he died in 1933. 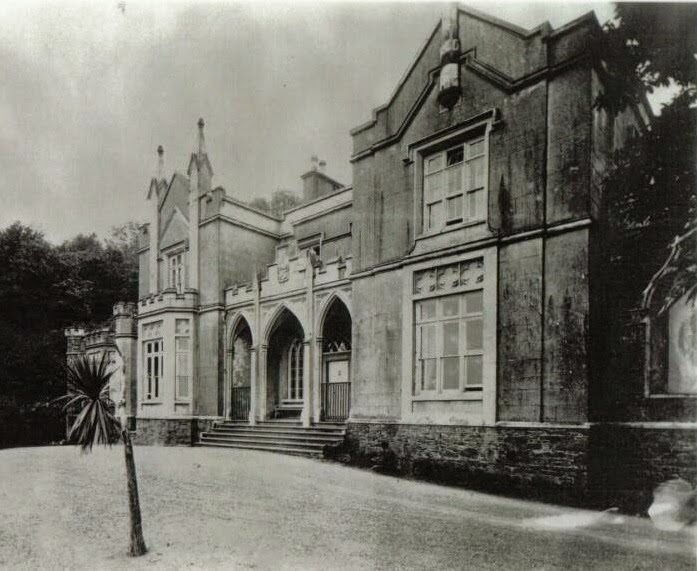 Little Clandeboye became a mental hospital in the 1930s before eventually falling into disuse, and was a "romantic ruin" for many years before being demolished. A symmetrical single-storey two-bay gate lodge with extension, built ca 1855, is located at the former entrance to Little Clandeboye. The lodge is robustly detailed, echoing the style of the main house. It was renovated in the late 20th century; however, the scale, proportion and detailing structure have survived. Although the original gates have been replaced, the alcoved gate screen remains. The lodge is now of significance as the only remaining structure of the Little Clandeboye demesne, connected to the Sinclair and Pirrie families, who were central to the development of Conlig village. It was sold on to Malcolmson of The Glen Laundry, Newtownards. I don't know a lot about my family history, but my mom is Josephine Malcomson, daughter of Thomas Malcomson who was a son to Andrew Malcomson. My mom speaks fondly of her visits to her grandfather's "castle", Little Clandyboye. I would love to know more about my family history. My great grandfather is also Andrew Malcomson! My Granny was his daughter with his second wife. My father spent much of his childhood at Little Clandeboye with his Grandfather and has fond memories too. Hello my great grandfather is also Andrew Malcomson! My grandfather was David "John" Malcomson and I would love to be in touch with those above; my email contact should be attached to my profile. I am by chance putting together a family album including the Malcomsons at Little Clandyboye. My mother always spoke warmly of Clandyboye. Hi! I lived in Little Clandeboye in the 1950's. It was beautiful house, especially the large Dining room! Mr. & Mrs. Malcolmson. and their grandson, Andrew,had most of their meals at a Duncan Phyfe table in the Bay window of the Dining room. Andrew's favourite meal was what he called "misssionaries"...i.e. spare ribs! The Malcolson's spent most of their time in the "Smoking Room". Next door was the Music Room with a grand piano, seldom played. Hello, I also lived at Little Clandeboye for a couple of years in the 1950's prior to emmigrating to Canada. It was a beautiful large house with an impressive staircase. The gardens were extensive with a large pond.My mother was the cook/housekeeper and I attended Regent House school in Newtonards. Andrew , who was about 10 at the time attended the local school in Conlig, so Andrew and I became "pals". Tony, the older son was at boarding school in England. My family emigrated to Canada in 1954 where we have thrived.I was able to go to university and eventually obtained a M.A. & became a hospital administrator.